In this second installment on midlife health, I explore recent research findings on cardiovascular disease and the long-term benefits of keeping that ticker strong in midlife. Cardiovascular diseases are the number one killer of men (and women) in America, accounting for over 600,000 deaths in the U.S. every year. But we’ve known for a long time that we can significantly reduce the likelihood of heart disease by maintaining a healthy lifestyle. Folks in midlife can offer up plenty of reasons to avoid keeping fit and eating healthy: career pressures, family demands, or those oh-so-delicious caloric temptations (yes please, I’ll have bacon on that). But a new study by researchers at Northwestern University and Yale finds that you’re likely to be around significantly longer and suffer from fewer chronic ailments if you practice some simple heart-healthy habits early in midlife. The report, published in the journal Circulation, was based on participants of the Chicago Heart Association Detection Project in Industry. The long-term study (aside from being a mouthful of a name) consists of over 25,000 employed men and women who have been tracked for nearly 40 years. The study considered multiple factors for heart disease including blood pressure and cholesterol levels, diabetes mellitus, body mass index, and smoking. Participants were placed into one of four groups: those with favorable cardio health, those with potential for elevated risk factors, those with one high-risk factor, and those with two or more high-risk factors. The current study’s findings should come as no real surprise. Researchers found that folks who had favorable heart health in midlife lived an average of four years longer than their fellows with at least two high-risk factors. Another startling finding is that participants with favorable cardiovascular factors lived nearly five years longer without other major diseases such as chronic lung disease, kidney disease, dementia, or cancer. Moreover, if folks in the heart-healthy group suffered from a stroke or coronary disease it was on average seven years later than those in the higher risk groups. And in fact, the study also found that the heart-healthy group’s Medicare costs were approximately $18,000 less. So not only were they able to benefit from greater health during later years, but they were able to reduce medical costs at a time in life when many people are on fixed incomes and trying to stretch their budgets to enjoy life. What exactly can we do to increase our chances of being in the healthy-heart group in midlife? 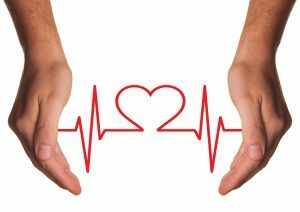 Research out of the Center for the Prevention of Heart Disease at Johns Hopkins has shown that we can protect against chronic heart disease by adopting four lifestyle behaviors: avoid tobacco, get consistent physical activity, maintain a healthy diet, and keep our weight in check. Benefits of participating in these activities were cumulative. Participating in a single behavior reduced risk of cardiovascular disease by 21 percent, participation in two by 39 percent, in three by over 50 percent, and all four by a whopping 81 percent. Engaging in these four behaviors also reduced by over 80 percent the likelihood of mortality from other diseases over an eight-year period. But wait, if that wasn’t enough, there’s more! Other researchers have found that when getting adequate sleep (at least seven hours a night) was added to the magic of the four activities, even greater benefits were reaped. Findings from another study published by Hoevenaar-Blom et al. in the European Journal of Preventive Cardiology suggest that adding the sleep component reduced the likelihood of a fatal cardiovascular disease event by 12 percent. So getting a good night’s sleep is like the deliciousness of adding bacon to your burger, except by reducing the likelihood of dying earlier. Ok, maybe that metaphor doesn’t work. So what can you do to increase the likelihood of having a healthy heart? Research is pretty clear that the following three things set you on the right path. Quit smoking: Seems like a no-brainer, but just had to say it. I know it’s not easy; I smoked for 10 years and finally quit, cold turkey when I turned 30. Quitting the siggy butts was the best gift I have ever given myself. Research suggests that of the four lifestyle behaviors, not smoking is the biggest way to reduce risks of heart disease and mortality. Moving your body: Getting about two and a half hours of moderate physical activity a week is recommended by the Heart Association. It also does great things for your brain, such as reducing the likelihood of a stroke and increasing your brain size (I discussed this in an earlier post). Break a sweat, increase heart rate, and have fun. Heart-healthy diet: Indulge in a diet that emphasizes fruits and vegetables, whole grains, low-fat dairy, poultry and fish (sorry bacon), and non-tropical vegetable oils. Definitely watch intake of saturated fat, trans fat, sodium, red meat, sweets and sugar-sweetened beverages. If you still do reach for the red meat, go lean. Here’s to your long and happy life!